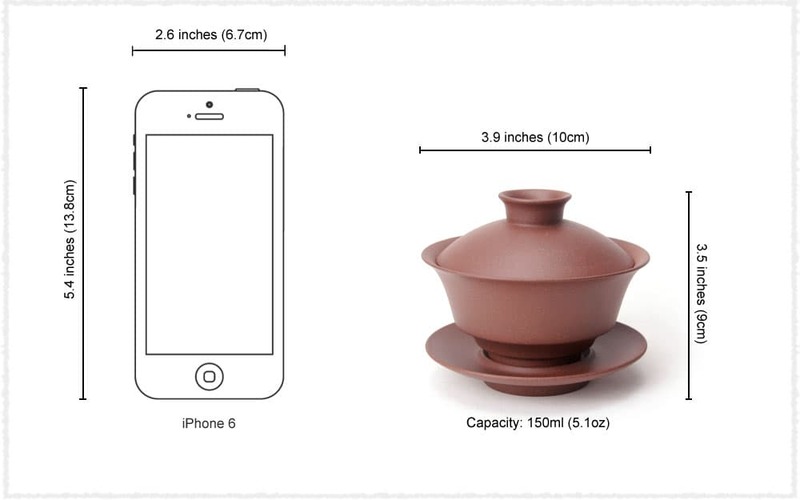 Combining both the advantages of Gaiwan and Zisha teaware, this Yixing Zisha Gaiwan is very suitable for people who love Gaiwan and Zisha teaware to collect and use. Gaiwan is convenient for us to watch the color of tea liquid, smell tea aroma, taste tea flavour, observe the tea leaves and also easy to clean. Meanwhile, the Yixing Zisha teaware can enhance the fragrance of tea. Teavivre’s Yixing Zisha Gaiwan combines both advantages of them, which can not only brews more fragrant and delicious tea but also easy to clean. 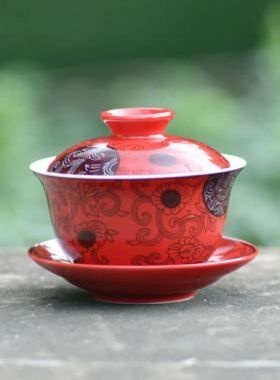 Because of its good heat preservation, this Gaiwan is more suitable for brewing tea which needs high water temperature, such as pu’erh tea and oolong tea. Di Cao Qing is originally produced in Huanglong, Dingshan, Yixing (宜兴), Jiangsu Province. 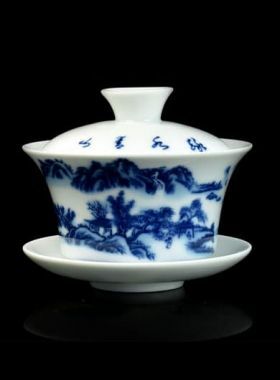 It was widely used by Modern Teapot makers in early years, and nowadays it is very rare. The turquoise Ben Shan Lv Ni particles are uneven distributed in ore, and these particles are commonly known as "corn" or "cat's eye". The clay is mixed naturally and after firing the argillaceous is mildness and exquisite. The clay is purple with golden sand granular dots, after firing it become pork liver color and after seasoning the argillaceous is exquisite and ruddy and the surface has oil texture.